When Tony Madalone, the founder and owner of Fresh Brewed Tees, announced his bid for Cleveland mayor last month, he left me questioning his seriousness. In his first interview with WKYC's Russ Mitchell, the 32-year-old declined to speak directly about incumbent Mayor Frank Jackson. Madalone instead talked about the need to govern with a different mindset, which sounds more like a TED Talk catchphrase than a rallying cry to defeat a three-term mayor. CLEVELAND - Tony Madalone, the founder of Cleveland-based Fresh Brewed Tees, has announced his intent to run for Cleveland mayor. CLEVELAND-- The owner of Fresh Brewed Tees is entering the race for mayor. One of Lorain’s native sons hopes to become the next chief executive of Cleveland. 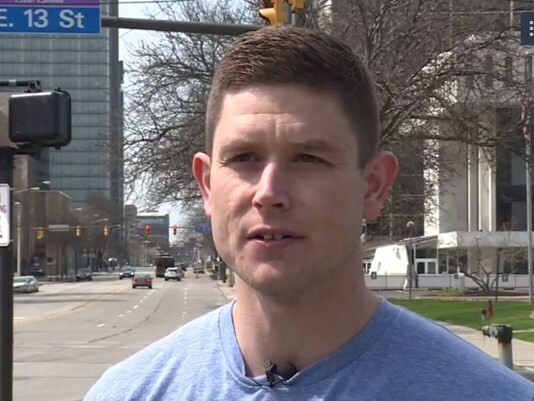 Fresh Brewed Tees founder and owner Tony Madalone has announced that he will run for Mayor of Cleveland. Cuyahoga County - Cleveland businessman Tony Madalone has opened a campaign office in Slavic Village kicking off his run for mayor. The race for Mayor of Cleveland is a packed field, and it just got another candidate in owner of Fresh Brewed Tees, Tony Madalone.